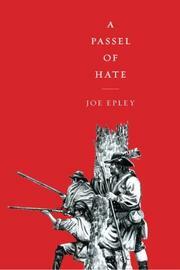 In Epley’s novel of historical fiction set during the American Revolution, passions flare and families are divided during the lead up to the battle of Kings Mountain. 1780 was a tense year in the Carolinas; some families remained staunchly loyal to the king, while others believed just as fervently in the revolution. Other families were divided within themselves between the revolutionary Whigs and the loyalist Tories. One such divided family was the Godleys, whose brothers were split between the two sides, except for Jacob Godley, who harbored no strong feelings either way until he stumbled upon a scene of devastation following a loyalist raid on the nearby Pearson farm; a militia led by the cruel Rance Miller had killed two Pearson men for their revolutionary sympathies, leaving behind a widow and a teenage daughter to fend for themselves. Jacob, an experienced tracker, joined the revolutionaries as a ranger and played a role in the escalating tension that culminated in the battle of Kings Mountain, which, although a major victory for the revolution and a turning point in the war, had deep personal consequences for Jacob. Epley’s straightforward prose efficiently drives the plot. A barrage of characters introduced in rapid succession in the first few chapters bogs things down a bit, but once the major players are established, Epley falls into a nice rhythm. The level of historical detail here is stunning, but period touches are introduced naturally and never in such detail or quantity as to slow things down. After the initial character introduction and scene setting, the action accelerates at a steady clip, leading to a satisfying climax. The characters are so well-crafted that it’s difficult to tell the historical figures from those created by Epley, as they all seem fully believable. Most importantly, Epley provides evenhanded treatment of both sides of the conflict. He paints a war fought by real, predominantly decent people with heartfelt but irreconcilable ideas, rather than a black-and-white battle between good and evil. A well-crafted, immersive historical novel, with just the right level of period detail.